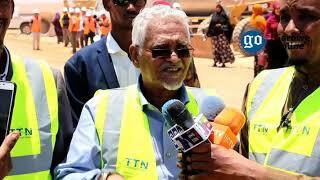 Minister of Energy Abdulaziz Hassan Mohamed stepped down to run for Southwest presidency [File photo]. 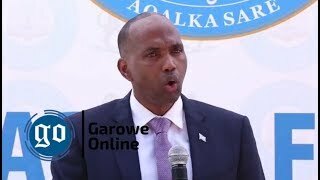 MOGADISHU, Somalia - The Minister of Energy and Water Resources of Somalia, Abdulaziz Hassan Mohamed, known as [Lafta Garen] has on Monday announced his anticipated resignation from the Federal Government, Garowe Online reports. 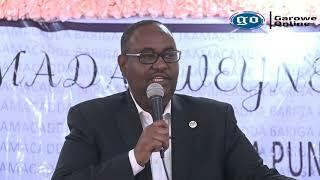 During a press conference in Baidoa city, the minister said he quit his post to vie for the presidency ahead of the Southwest State’s election which is scheduled to be held on 17th November that is 12 days away. 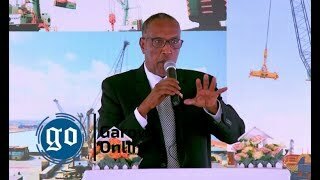 Lafta Garen who is still a member of Somali parliament will compete against incumbent President Sharif Hassan Sheikh Aden who is seeking for a second term and other aspirants. The pro-government candidate had previously contested for speaker of the Lower House Chamber of the Federal parliament last April, in which he lost to the former defense minister, Mohamed Mursal Sheikh Abdirahman. 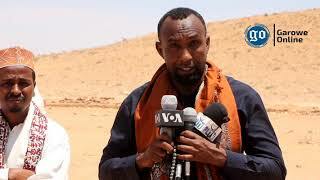 His resignation comes as the regional electoral commission initiated registration of the candidates starting with ex-Al-Shabab deputy leader, Mukhtar Robow who is running for public office despite a ban by the Somali government. Last week, the State's polls committee has set conditions for the election. The candidates need to leave their current posts before being for cleared up for the Southwest presidential race. 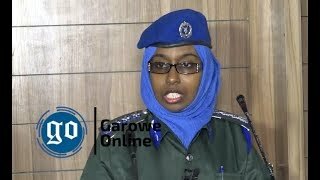 Somali Government is said to be backing some candidates, including Lafta Garen who arrived in Baidoa with bulletproof cars and VIP protection unit late last month, sparking concerns of election meddling. On Sunday, Somali Senate warned against any interference in the upcoming presidential polls in the country's Federal Member States, especially in Southwest, calling on candidates to respect election laws.